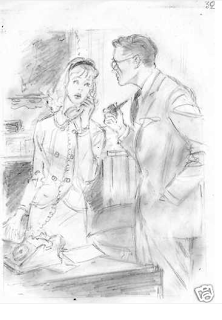 Albert Chazelle was the illustrator for the earliest Nancy Drew books published in France, where the character is called Alice Roy. A sketch made by this artist was recently made public. 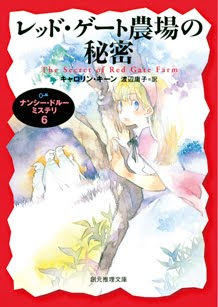 Just in time for Christmas, the next title in the series (Red Gate Farm) will be issued by Tsogen of Japan. It seems like an overwhelming majority of the cover art (US and foreign) for Red Gate Farm features the white robe clad "cultists" - wish they would come up with another scene to depict! Wahlstroms will be releasing two more Kitty books in March 2010. 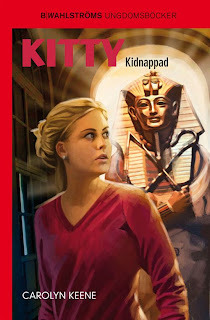 One is the next title in the Girl Detective series, and the other is a reprint featuring revised art from one of the Classic paperback stories. 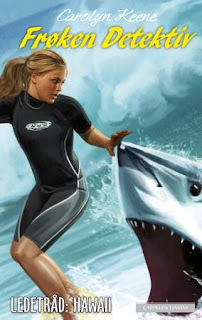 The Norwegian publisher has changed its name to Cappelen Damm and appears to only be continuing to publish the Girl Detctive titles (called Nye Frøken Detektiv). In other words, they are no longer republishing the original "Klassiker" titles. Prinsen och målningen (Girl Detective #15 Framed) published by Wahlströms, September 2009. Original artwork by Andreas Bennwik. 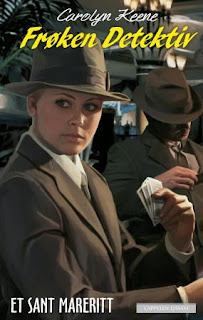 The first three titles from the Girl Detective Graphic Novels series were released in Finnish in 2007 (shortly after their English counterparts were introduced). I just received copies in today's mail and was happy to add them to my collection. 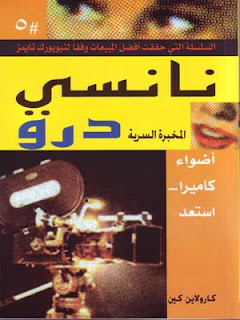 The books are published by Egmont and duplicate the format of the US versions. 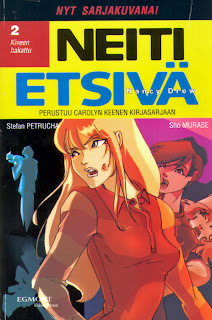 They also repeated the "neiti etsivä" nickname started back in the 1950s when the first Nancy Drew books were translated into Finnish. Conveniently, it roughly translates to "miss" or "girl" detective. The only change is that the heroine is called Nancy in the graphic novels, rather than Paula, as she was previously known in Finland. The first 4 titles from the Papercutz Graphic Novels series have been released in Malay by Pesta Buku Antarabangsa (translation: Carnival Book International). The release date appears to be April 2009. 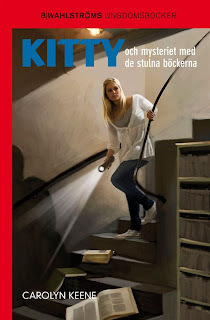 The series is called Komik Nancy Drew. They have reformatted the layout on the covers - I think I like this arrangement better than the US covers. It is more .... graphic! This is the Malay edition of The Girl Who Wasn't There. 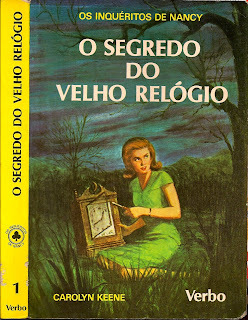 This Portuguese book is not a new title currently in print, but it is a new format I had never encountered until now, so I want ed to share. I have some books by this publisher (Verbo) but I think they were from the 1990s and have totally different covers and internal illustrations, and feature a white spine. 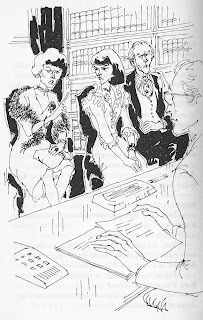 This book appears to be an earlier incarnation of "Os inqueritos de Nancy" published circa 1983. It has a yellow spine and recycles the Rudy Nappi cover but has original internal illustrations (uncredited). I like this one of the Tophams whining at the attorney's office. The back cover indicates that at least the first 4 titles may have come in this format. 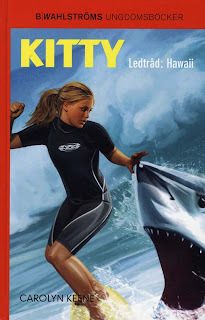 Ledtråd: Hawaii (Girl Detective #13 Trade Wind Danger) published by Wahlströms, September 2009. Original artwork by Andreas Bennwik. 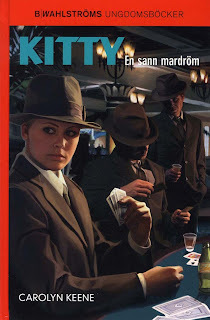 En sann mardröm (Girl Detective #14 Bad Times, Big Crimes) published by Wahlströms, September 2008. Original artwork by Andreas Bennwik. I don't have all the details on these newly located Arabic editions - I am awaiting delivery of my copies and will provide more information as it becomes available. They were probably originally published around the time of the release of the movie (circa 2007) and are still in print today. 4 or 5 titles from the Girl Detective series were released. This cover appears to be Lights, Camera. 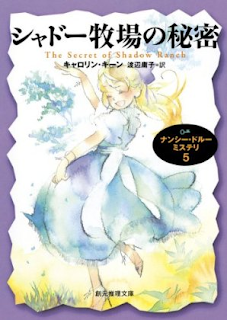 Predictably, the next one in the series is #5 The Secret of Shadow Ranch. The release date is May 2009. 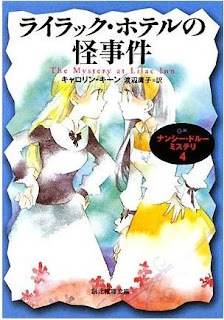 The fourth book released by Tsogen is Lilac Inn (naturally!). Although web sites indicate that it was published in November 2008, it was not available at Christmastime last year. Alice chez le grand coutourier (Classic Paperback #63 Twin Dilemma) reprinted by Hachette under their "Les Classiques de la Verte" series in November 2008. Original artwork by Marguerite Sauvage. 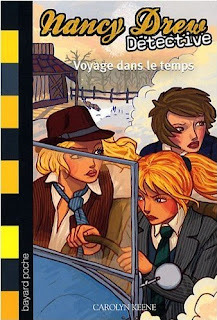 Nancy Drew Détective - Voyage dans le temps (Girl Detective #14 Bad Times Big Crimes) published by Bayard Poche February 2009. Original artwork by Karen Laborie.